Wow, last night was a toughie! It was partially my own fault – I got engrossed knitting the final part of a cardigan I’m knitting for R. Next thing I knew, it was 0130hrs and my back had seized up. So I unfolded and creaked to the sofa to wake up The Boss, who was snoring his head off, glasses akimbo. Unfortunately, we woke up baby R when we tiptoed to bed (R is still our little room-mate in her cot). Those big blue eyes flicked open a split second before her mouth, enough time to assess that by being awake we were obviously having fun without her. What solution but to let loose that familiar siren? Mini Minx brought out her entire persuasive arsenal. She tried ‘cute’ gurgles. staccatto ‘ah’ shouts, smiles, chuckles, coos and shrieks. When none of those worked to get her picked up and played with, she started to cry. When *that* didn’t work, the wails got louder and louder. And louder. The Boss tried putting her between us in bed. Bad idea – this just gave her more opportunity to try to prise our eyelids open with her stabby little fingers (latest trick – see the video on Facebook from a few days ago). Then I heard the pitter-patter of tiny jackboots…In staggered Midi Minx, rubbing her eyes, moaning and groaning and trying to get into bed. As letting Maxi Minx into our bed 2 years ago just exacerbated her sleep problems, I woke up The Boss, passed Mini to him, picked up Midi (owwwww, my shredded tummy muscles…Owwwww my bendy back!) and tucked her back in bed. Hobble back to bed, stub my toe and bash my shin against the sharp bedframe, flop into bed and take back over stroking Mini’s forehead. All became quiet. Mini’s breathing got into time with her Daddy’s snores, and her eyelids started to flutter. Thud, thud, thud. Midi Minx again. Repeat the above (including bashing my shin. Curse. Curse again at Mini’s wails). Stroke, wail, stroke, breathe, settle. Wahhhh! This time it’s Maxi Minx. “I can’t find my Grandad teddy!” she roared (she’s still not in possession of a reliable volume control). Curse. Wake up The Boss. Repeat. Can you spot a pattern, here? In all, Maxi Minx was up once, Midi Minx was up 4 times (attached on an invisible bungee) and Mini Minx finally gave up trying to get us to play with her around 0430hrs. At least, that was the last time I looked at the clock as I put her back in her cot (again) and sighed at her instantly rolling over onto her face (again). So it’s fair to say I won’t be awake at midnight. In that case, I wish you all a very happy New Year. I hope you can see and grab every opportunity there is to make 2011 the best it can be for you. Mini Minx is in full-blown separation anxiety phase. Lucky for me, this is coinciding with The Boss’s Christmas and New Year leave. It’s easier on my jangling nerves to leave her crying pitifully at least knowing that she has a loving parent holding her. She wails as soon as our physical bond is broken, to put her down in a chair, or a change mat or into someone else’s arms. I met up with another Imaginary Friend today, who just exudes warmth and caring. Even though I was sat right beside her, Mini Minx crinkled her mouth and mewled as soon as she sat in Friend’s lap. It wasn’t because my friend was a stranger to her – baby R does this when I pass her over to her Daddy for a cuddle / some respite. The Boss reminded me of what it was like when Maxi Minx was going through the same stage. He had found a local climbing wall within a gym that had a creche attached. Fantastic! We could drop the baby off for some one-to-one care for an hour while we got some fun and fitness at the end of the corridor. The staff reassured me as to how experienced they were with 9 month old babies. “She’ll cry until you’re out of sight, then she’ll settle”, they soothed. “You need time to yourself. Have a climb. Have a coffee! Relax, we’re in control”. Right. Fifteen minutes later they were dragging me and The Boss off a route to collect P “and take her away”, as she wouldn’t stop screaming. Around the same time, P’s Grandma watched her for the day as me and The Boss moved house 2 counties away. P’s screaming went on so long and so loudly, along with a milk refusal, that her poor Grandma took her to the doctor’s (whether to check P over or to stem her own bleeding ears I know not). R has a worse separation anxiety than P. What are the chances of me actually getting to the physio, do you think? I was darting about today, trying to keep the house *this* side of habitable. As I battled with hoover, dishwasher and mound of laundry, I had an ear out for the kids and CBeebies on the TV (some programmes, like Tweenies, are banned in the Trout household. Och, it’s a long story…). Anyway, I heard one of the presenters gushing something like: “I hope you had a magical Christmas, and all your wishes came true”. Bing! That’s it! I’d been wondering where people have gotten this idea that every single Christmas has to be The Best Christmas Ever. No really, Ever. EVER. Ever-ever. Where nothing can go wrong (unlike every other day of the year). Where absolutely everyone has to smile and not just have fun but have super-special fun. Even if you were lucky enough / drunk enough to have an incredible time last year, it doesn’t matter! For you have to have an even better time this year! It’s the Christmas Law. And obviously this message is being drip-fed to us from our infancy. Phooey. I’ve never bought into it. 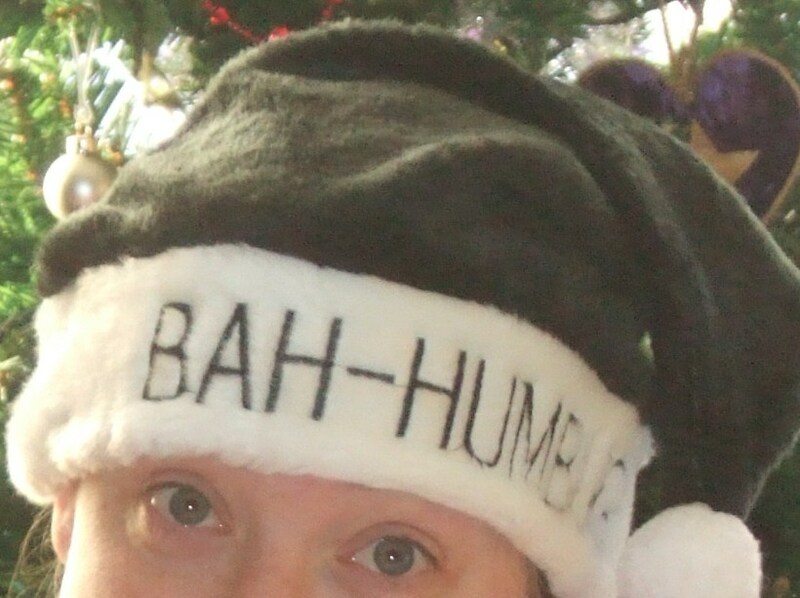 Don’t get me wrong, I’m not a Bah Humbug kind of person at all. I just accept that like all celebrations and parties and days of the year, sometimes Christmas is good, sometimes it’s bad, sometimes it’s mediocre and guess what, sometimes it’s all 3 (and more) in one day. I don’t expect some Old Man Who Lives In The Clouds to magically make 25th Dec a day when I can wish for the moon on a stick and He’ll boom: “What colour of stick?”. I mean, if you went, “Oh wow, it’s March 20th, you can’t be sad on March 20th! You simply must have an incredibly wonderful day!” then they’d cart you off to have your head examined. I get cross at the pressure from my fellow humans to have a better than wonderful Christmas every year. No, I don’t set out to have a rubbish one, you know, and like most days of my year it’s usually petty good, overall. 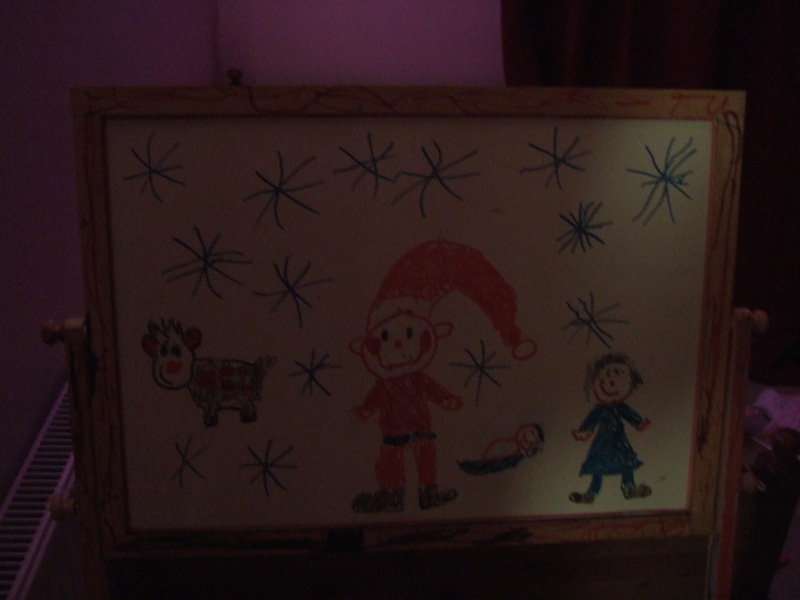 But don’t go infiltrating my kids’ heads with this nonsensical idea that Christmas = magical day when wishes come true. Then if they have merely a great or just a lovely day, they’ll be woefully disappointed. Which would be ridiculous. Never mind Christmas, I hope your day today (29th Dec) was somewhere within the range of tolerable to pretty great. 5 mins till baby R’s feed and I’ve been reflecting on some of the goings on in this household these past 24 hours. As usual, most of it revolves round our second daughter. “I wanna big, big, big, big, big, big, big (Mummy note: I’m spotting a trend here), big, big, big, massive one.” Selects a wafer-thin crunchy slip of a biscuit. She’s such a tease. *Note: ‘yes I am’ is her stock reply to anything. She says it to buy her thinking time, or to assert her authority or ownership of anything and everything. P is going through a phase of wanting to wear nail varnish because some of the girls in her nursery class do. Me and The Boss are of one mind on this: over our combined dead bodies. So P, being an opportunistic minx, has used her new white board pens to ‘accidentally’ slip and colour all 10 of her nails in red. I worked my ‘I’m very disappointed in you’ chat and facial expression to the max. It obviously had an effect: yesterday she’d scribbled over one palm only (it had an anarchy symbol, capital A in a circle. Coincidence? Or design…?) And this morning she sheepishly asked for help to rub off black pen scribblings over both hands and arms. After much scrubbing with wipes, she admitted she might need some help as “I did a little bit on my knee, too”. Turned out the only part of her body she’d not scribbled on were those bits covered by vest and pants. Everything else was adorned. The ensuing squeals from the bathroom as we abandoned the wet-wipes and went for the bath, bubbles and rough flannel were shattering. 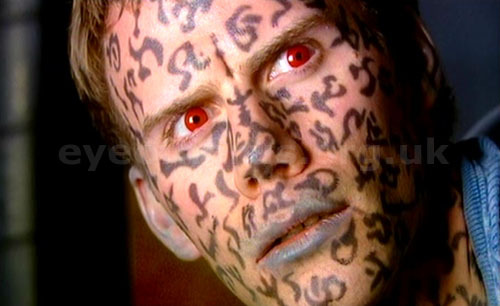 The person Maxi Minx was trying to emulate...? Talking of ‘shatter’, we’re pretty tired today. Youngest 2 minxes had us up most of the night. Mini Minx is almost crawling backwards and almost has a second tooth ruptured. (Midi Minx just prefers squashy mummy cuddles in the night compared to cold plastic dolly hugs). Anyway, as me and The Boss tried to doze with the baby between us, I was watching her out of a half-closed eye. By crikey we’re going to have trouble with this one! As her growls and escalating volume of shrieks had no effect, she wriggled over till she could reach her Daddy’s face. Not liking his closed eyes, she reached under his glasses and tried to push his eyelids up. Minxdom beyond her tender months indeed. I have to add this. I just have to. It’s my family’s favourite bread, week in, week out. I can’t for the life of me remember where I read the recipe, but I’m sure it was either on the Allison website or on the back of a bag of Allinson flour. Anyway, all tinkering with the recipe has been resisted, because it really does taste at its nuttiest, tastiest best as it is here. 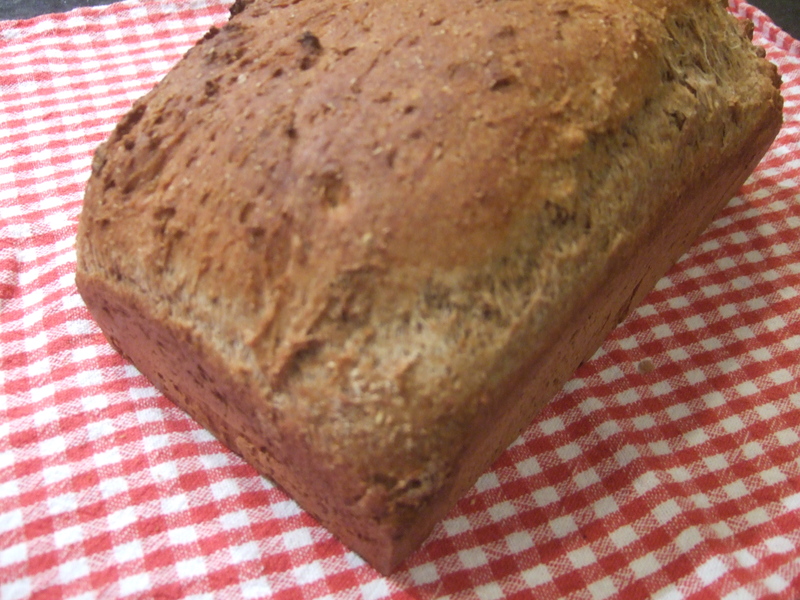 I think the crucial ingredient is the Allison Very Strong Wholemeal Flour? It’s the only thing I use The Boss’s Kenwood mixer for. Mix / knead for 5-10 mins. Plop it in a greased bread loaf tin, cover with some cling film, leave it till it’s doubled in size (40 mins in a warm kitchen). Heat the oven to 230degC. As you put the bread in, turn it down to 200degC. Bake for 35 mins. Turn out and cool. Chop everything big/small so that it’s roughly the same size, ie about cranberry size. Mix it all in a medium sized saucepan. Bring it to the boil, simmer uncovered for an hour. Put it into sterilised jars. It made about 4 jam-jars full. Well, before I tell you what gems the minxes have come away with today, I checked the ‘site stats’ and found that someone arrived on here after searching for “fat people stuck indoors”. That’s not me! I get out sometimes! Honest! I even managed to get the kids to nursery today, despite it being -18degC at 1030hrs this morning. I kid you not. -18. And we live on the coast. Brrrrrrr. We’d had a rough morning getting out on time. Every time I looked round at Maxi Minx she was wearing less and less, despite me yelling at her to get her wellies and coat on. Mini Minx did her obligatory poo just as we were finally ready to go. So of course by the time I’d changed her nappy, Maxi Minx was undressed again and Midi Minx was off causing mischief with the cat. To make up for setting off in a real grouch, I tried being lighthearted. For a change. Noticing the beautiful big moon low on the horizon, I wittered on about how much I love to gaze at the Moon (true). Maxi Minx asserted: “When I grow up I’m going to the Moon – I’m going to be an astronaut”. I was a little surprised, because she’s always wanted to be a ballerina-pilot. “That’s nice, dear”, I replied. “Me too!” piped up Midi. 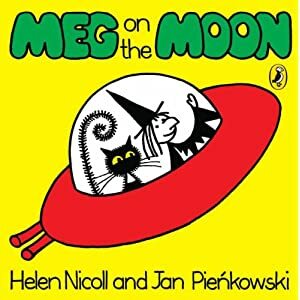 “I gonna go Moon – I gonna be a Meg”. I shouldn’t have laughed so loud and long, but it was hard not to. My second daughter is so mad on the Meg and Mog stories that she even goes to bed wearing black socks, because it makes her look like a witch. *The ‘background music’ was too loud, so one member of staff had to yell to the other to be heard. She yelled over, asking her to get a little boy who’d toppled over. I wasn’t happy that the first staff member didn’t just get up off the floor and get him, and that the other staff member hadn’t heard either him crying or her colleague. On the plus side it’s all open plan (one big room) and limited to 8 kids for the 2 ladies. I’m trying not to be precious about it, and I really, really need to get my back and insides sorted by the physio and some gym work. Things got brighter when we all got home this afternoon. I did a ton of cooking, which always makes me feel better (fridge-leftover chutney that smells like Christmas, walnut bread, flaky pastry mince pies and lasagne. P declared “I love your lasagne even more than sausages!”. Exceptional praise indeed). Best of all, though, was the realisation of what makes little daughters so brilliant: they don’t laugh at your air guitar to Queen’s “It’s A Kind Of Magic” on the radio, they join in! 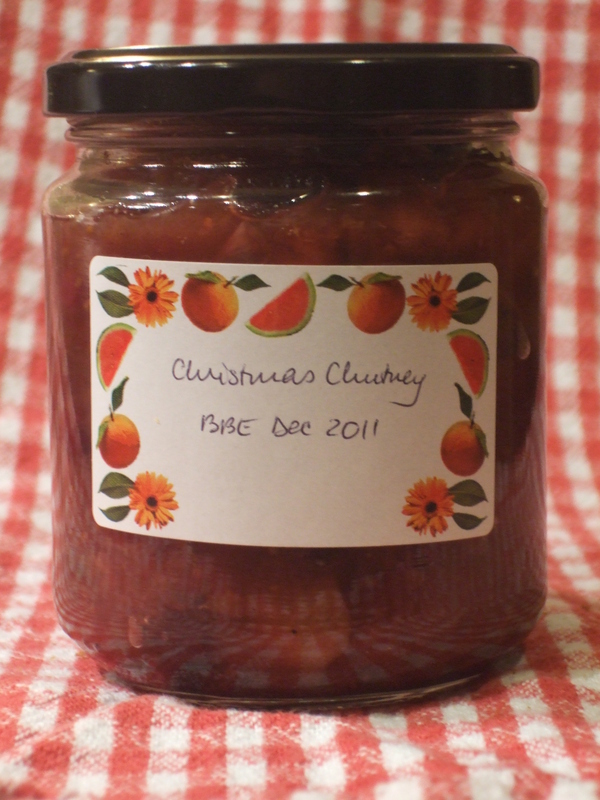 I really should add a quick recipe at this point, so I remember it for next year. It was simple, tasty, but more importantly a lot of fun to make. Whisk the egg white and peppermint extract with a fork. Stir in the sieved icing sugar with a wooden spoon. Knead it on an icing sugared board till smooth. Get your little darlings to roll it out to however thick and lumpy they like (aesthetically, it looked best around 5mm thick or less). Let them cut it into shapes. The kids liked simple rounds, little stars and love-hearts best. They’ll finish the job before they get bored – bonus. Leave on a sheet of waxed paper to dry out overnight. Heat the chocolate in a jug in the microwave. Nuke for 1 min, stir, then another 20 secs worked for me. Drizzle back and forth over the creams. This looked and tasted better than dumping a load over a whole cream to encase it. Leave to set for a few more hours or overnight. Put into cellophane bags, attach home-made gift-tags and half a ton of curling ribbon, put in a box, send to a beloved grandparent.